Move your body & grow your health with Vida! This October our Vida! 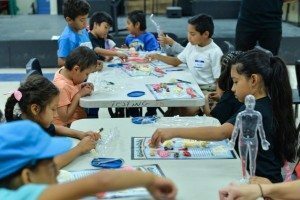 kids in South LA, Boyle Heights and Watts learned all about their bodies with the help of human dissection kits. Breaking up into ‘medical school’ lab groups, they were able to physically dissect the structures and were able to explore all of the organs in the body in order to comprehend exactly how they work and function. 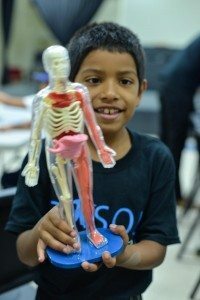 While using their various toy dissection tools and instruments provided, they were also able to get a better understanding of the human anatomy. They enjoyed being little doctors for the day! The topics of the class discussion included the 7 body systems: Nervous System, Skeletal System, Cardiovascular System, Digestive System Respiratory System, Urinary System and Muscular System. Also, important organs of the body were discussed: the brain, heart, esophagus, liver, kidneys, stomach, lungs, diaphragm, large and small intestine and the bladder. Our Vida! 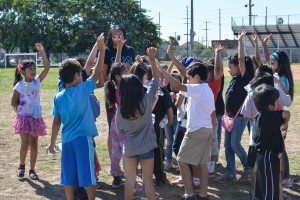 kids also learned how nutrition and being physically active relate to this topics of the body. Meanwhile, our Vida! parents embarked on an exciting culinary adventure. 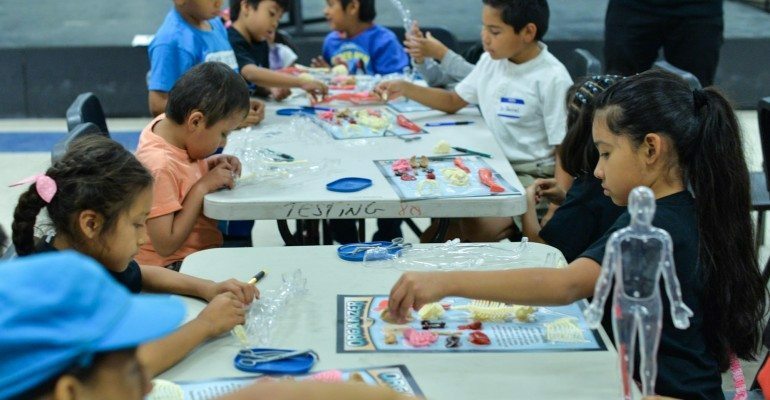 Our educational outreach this year will work to break down the food-related barriers-to-health that our Vida! families face, bolstering their resistance to unhealthy food habits. And it seems that this month’s recipe, the argentinian ChimiChurri Chicken, was an amazing first step towards a nutritious lifestyle filled with healthy cooking and clean eating. Ready to sweat while having fun? Once the classroom learning sessions were complete, it was time to put all bodies in motion and work up a sweat! 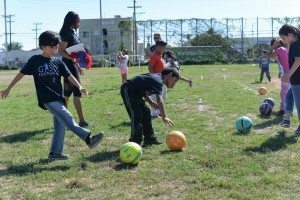 This month’s physical sport activity focused on the fundamentals of soccer for our Vida! kids while our Vida! 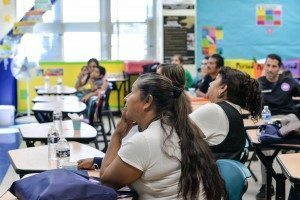 parents were introduced to Zumba, a fitness program that utilizes dance and aerobic movements performed to energetic music. The choreography incorporates samba, hip-hop, salsa, merengue and mambo. Cheers to happy bodies and minds, everyone. Have you played soccer or participated in a Zumba class before? If so, tell us about it!